Last night I just came back from yet another wedding. I think it was my 4 th such ocassion this month. Not to forget that apart from marriage ceremonies, this month is studded with parties and events. In December, I have a wedding to attend who happens to be one of my best friends. So there are going to be a series of events/ ceremonies/ parties which I am excited to attend before the actual D day. As much as I love nuptuals, they are a headache for other reasons too. I mean what to wear to many parties? Just like what you are going to gift the bride; its equally important to dress the part. being a blogger, my everyday life is documented pictorially. So its almost impossible to wear the same dress twice. Moreover if its a wedding/ party in the same social circle, then a repeat is a strict No No! Because of the above reasons, I am constantly in search of new websites which offer gorgeous dresses at reasonable prices. That is how I came across amodabridal.com. I was thrilled with my find! This site has pretty much everything you need for a wedding or party or event. From Formal dresses to plus size gowns they cater everything related to party. And if you are planning what to wear to a wedding, look no more. 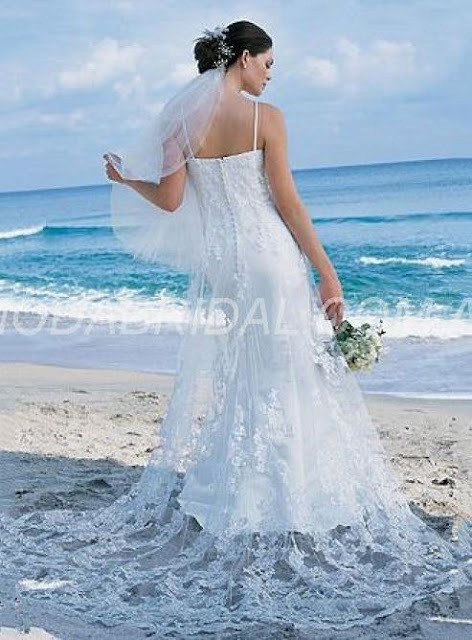 They have all kinds of wedding dresses: chic simple wedding dresses, lace wedding dresses, beach wedding dresses, vintage wedding dresses, etc etc. Also they have a plethora of wedding accessories like weddings veils, wedding jackets, wedding umbrellas, wedding bouquets, wedding shoes, petticoats...you name it, you get it! For people like me who has to attend the wedding, there are pretty bridesmaid dresses, mother of the bride dresses, flower girl dresses etc. If I had the chance to get married again, I would have got married on the beach. And I have definitely worn this dress. How beautiful is it? I love the lace sweeping the sand and the veil blowing in the romantic sea breeze. Aah such fantasies. So what are you upto this wedding season? Are you attending one or yourself getting married? I loved these wedding dresses so much! They were so beautiful and delicate and I wish i also had the same dress on my big day! Thanks for posting this! This is beautiful! such a compassionate young man, who cant do much to help his mother and others with the same problems https://ukservicesreviews.com/academized/ but is doing his best! we are all so proud of him!